How To Download Apps On Apple Watch: The Complete Guide! You are at:Home»Apple Watch»How To Download Apps On Apple Watch: The Complete Guide! You want to install apps on your Apple Watch, but you’re not sure how. 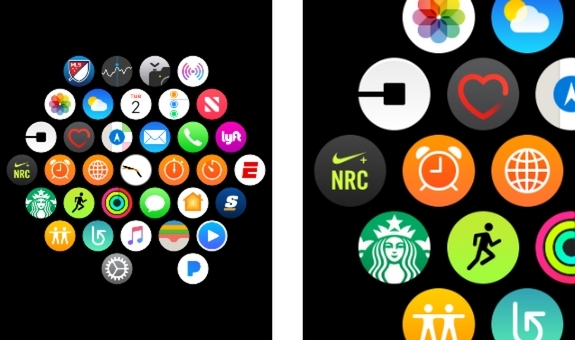 Without apps, your Apple Watch is basically like any other boring, old watch! In this article, I’ll show you the three ways to download apps on your Apple Watch. From the Available Apps list in the My Watch tab. From the Apple Watch App Store. Using the Apple Watch App Store search tool. Below, I’ll walk you through each of these three methods so you can learn how to install apps on your Apple Watch. Tap the My Watch tab and scroll down to Available Apps. 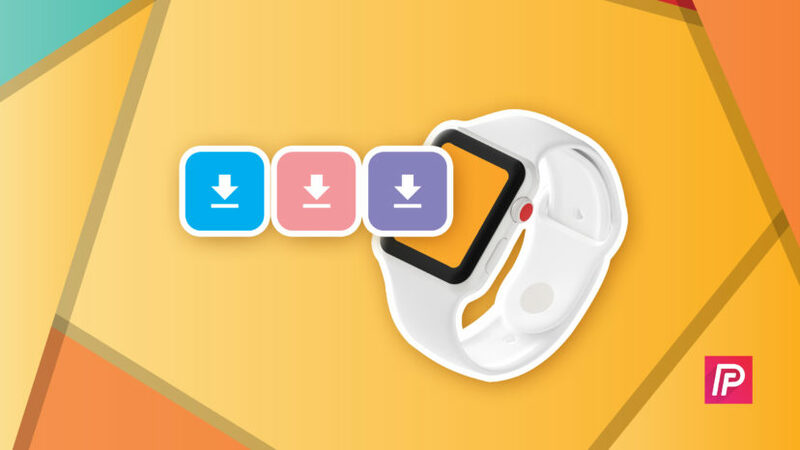 Tap the orange INSTALL button to the right of the app you want to install on your Apple Watch. 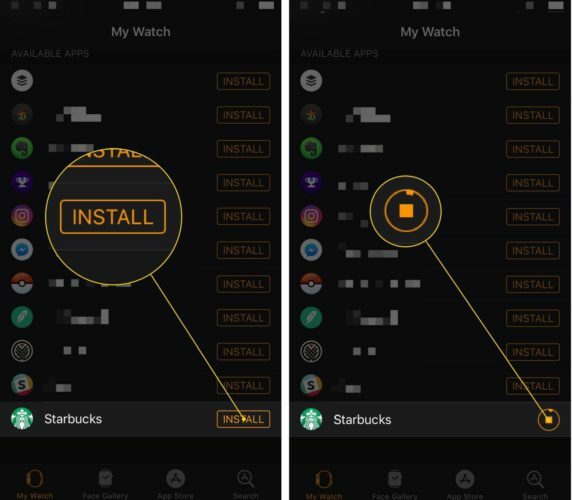 A small status circle will appear to let you know how close the app is to installing on your Apple Watch. On my Apple Watch, it usually takes a few minutes for the app to finish installing, so be patient! Open up the Watch app on your iPhone. Tap the App Store tab at the bottom of the screen. You’ll know you’re in the Apple Watch App Store when the tab turns blue. Browse around the App Store until you find the app you want to install. Tap Get to the right of the app you want to download. Confirm the download using your passcode, Touch ID, or Face ID. After confirming the download, a small status circle will appear to the right of the app. Tap on the Search tab in the bottom right-hand corner of the screen. Tap on the search box. Type in the name of the app you want to install on your Apple Watch. Tap Search in the bottom right-hand corner of your iPhone’s keyboard. Tap Get to the right of the app to begin installing it. Confirm the app download with your iPhone passcode, Touch ID, or Face ID. The status circle will appear to let you know how much longer it’ll take for the app to install. Where Do Apple Watch Apps After They’ve Been Downloaded? 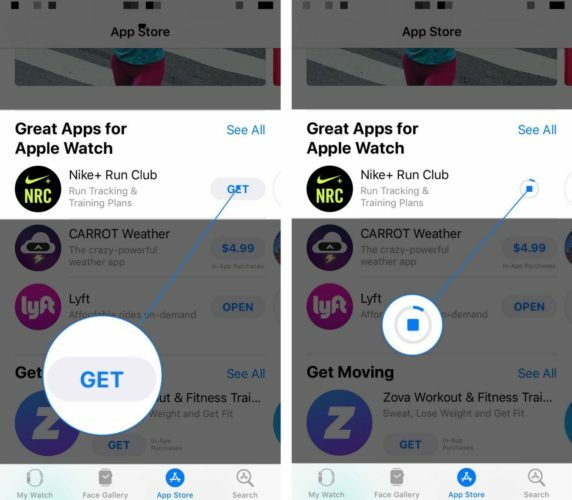 Once you’ve downloaded the app or apps on your Apple Watch, you can view and open them by tapping the Digital Crown (the circular button on the side of your Apple Watch). Here, you’ll see a menu with all of your apps displayed. To open the app you just installed, tap on it. The app icons can be difficult to tap because their so small, but you can zoom in by turning the Digital Crown. You can also slide your finger around the screen to help find the app you’re looking for after you’ve zoomed in. Recently downloaded apps will usually appear on the far right or far left side of the watch face. Downloading Apps On Apple Watch: Explained! You now know everything there is to know about downloading apps on your Apple Watch. 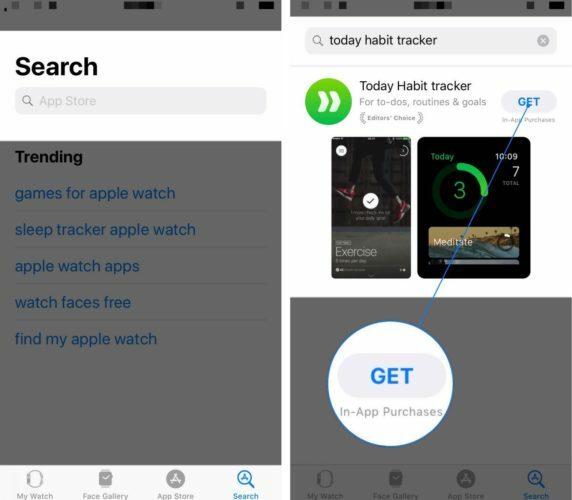 I encourage you to share this article on social media to teach your family and friends how to download apps on their Apple Watch too. Tell me about your favorite Apple Watch apps by leaving a comment down below! Previous ArticleCamera Format Changed To High Efficiency On iPhone? The Fix! Next Article How Do I Organize iPhone Apps In Alphabetical Order? The Quick Fix!